Appliances such as refrigerators, dishwashers, ovens, and more, are major investments you make for your home or business. In some situations, such as owning a restaurant, they are major factors that keep a company running smoothly. If your appliance stops working, turn to our skilled repair technicians in Roswell. We understand how important your home and company are to you. We work quickly and effectively to get the job done right the first time! Don’t waste money buying a brand new appliance. At Mr. Appliance of Alpharetta, our skilled Roswell appliance technicians have extensive experience working with a variety of service brands. No leak or fuse is too big for us. We’re ready to step up to any challenges our customers throw our way. Our work and parts are guaranteed. We leave a clean workspace. Our professionals are licensed and trained. If your microwave no longer heats your food the way it should or your fridge doesn’t dispense water, contact our appliance repair experts in Roswell. As a locally owned and operated business, we know the community. We take the time to get to know our customers. We work quickly and efficiently so that you can move on with your day. 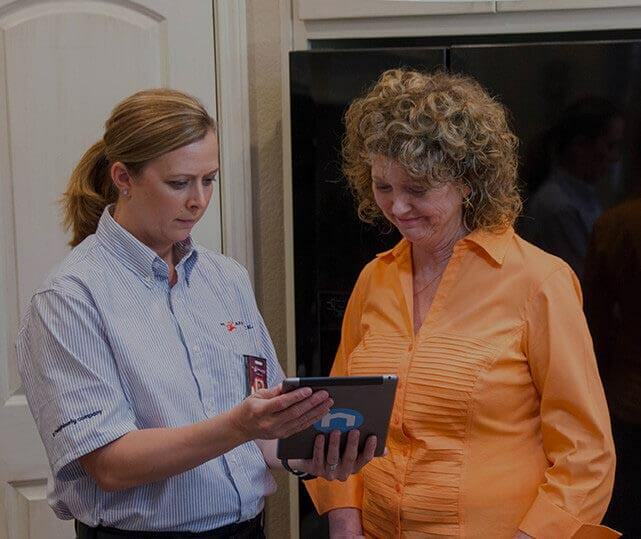 Once you hire our technicians, you will never need to look for another appliance repair company! Don’t let a broken appliance bring your routine to a halt. Call (678) 721-8555 to schedule an appliance repair service in Roswell!